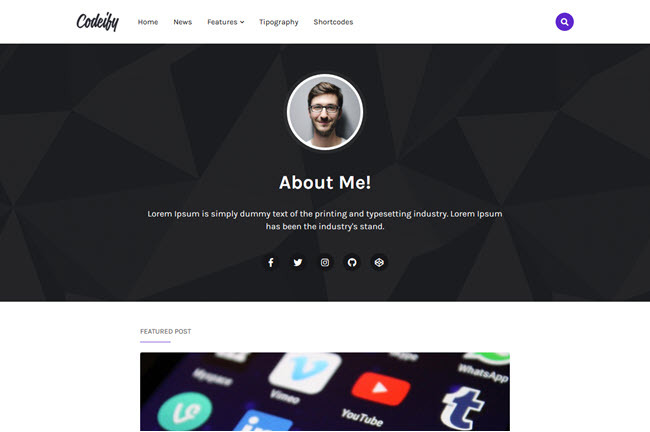 Codeify is a professional blogger template, ideal for personal blogs, design blogs or specific niches, totally flexible and customizable, fast loading and SEO optimized for better results. Author Info on Header, With Social Icons. Video Tutorial - How to Setup Codeify Blogger Template.